It feels great to finally pay off a debt account but you need to make sure you make smart money moves after. There are some people who often forget the hard journey they had to take just to pay off a financial obligation. As soon as they pay off one debt account, they start charging on their cards sometimes even more than what their original debt amount was. This is one of the financial traps you need to avoid especially when trying to manage your money better. However, it is a lot trickier when you are coming off a debt payment because that feeling of accomplishment can make you believe you can spend to your heart’s content. Here are a few smart money moves you can look into to help you stay on the right path. It feels good to finally pay off an account and you need to build on that feeling to help you tackle other debt accounts. One way to do that is to give yourself a small reward for doing a good job. You can go for a massage, a nice meal, or even buy a new shirt. This will help you remember that feeling and aspire to pay off more accounts. However, you have to be careful not to undo all the hard work you have put in. If you paid off a credit card debt in one year amounting to $800, don’t go out buying shoes worth twice as that. You might also feel that you deserve a break and book a trip to Europe. You will come home to more debts which will be bigger than what you just paid off. One of the smart money moves you can do after paying off your debt is to put your focus on your financial goals. There is a big possibility that you were not able to prioritize them when paying off your loans. All your attention could have been with your debt payment that you have overlooked what you really wanted in life. You can make adjustments on your budget to align it towards your financial goals. If you wanted to pay off your mortgage in record time, then reroute extra funds towards your house payments. If your goal is to pay off your student loans, then do the same and put extra money towards that. The important thing is to make budget adjustments to put you in the right direction. Once you have paid off a debt account, why not start to tackle another one? With the momentum you have, not to mention the extra funds on hand, you can channel those and focus on another debt. You can choose the one with the smallest amount or even the account with the highest interest rate. 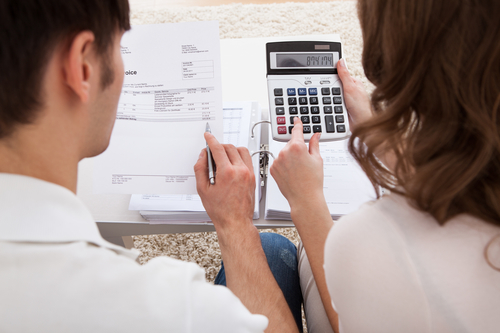 These two methods can help you put some order in your debt repayment strategy. Snowball method is when you focus on the smallest balance to pay off first. When you prioritize high-interest accounts, that is what’s called an Avalanche method. There are variations between the two but the objective is to help you put a strategy in paying down your debt. You can choose between the two as you aim to pay off more debt accounts under your name in the coming year. Your emergency fund is an important part of your finances and after you have paid off a debt account, you can consider putting more into this account. This helps you fend off and manage unexpected situations in your life varying from job loss or death of a loved one to minor home repairs you need to attend to instantly. One other benefit of having a dependable emergency fund is getting the chance to manage the possibility of acquiring more debt when emergencies happen. When you do not have an emergency fund and you suddenly need money for a medical need, the first thing you think about is borrowing, cash advance or a card, or even taking out a high-interest loan just to get by. However, if you have any form of a reserve fund, you will have money to use in emergencies. CNBC shares that $1 million in retirement money might not be enough anymore. This is due to a lot of factors primarily higher cost of living and real estate prices going up. If you are looking at retirement, you need to ramp up your savings goals to help you save more than enough for your needs. The last thing you need is having to get out 8of retirement just because you already ran out of money. It might no longer be for you if are already done with college but it can be for your children. There is a good chance that you have an idea of how student loans affect college graduates. It takes a long time to pay it off and can burden people especially during the first few years of working. This is why it makes sense to save up for your children’s cost of attendance. Sallie Mae shares that majority of those saving for a college fund, a 529 savings plan is the most popular. This tax-advantaged plan helps you save money by being able to use it when you need it tax-free. The good thing about this plan is that other family members and friends can contribute to that plan. It becomes a great idea for gifts as well so it can grow over the years. Another one of the smart money moves you can make after paying off a debt account is to start saving for that next big purchase you have. It can be a down payment for a house or even a new car for the growing family. If you plan to buy a big house appliance like a washing machine, dryer, tv, or maybe even a game console, you can start saving up for it. This way, you lower the need to take out your cards and use credit to pay for the purchase. If you save up enough money, you can still do that but pay off the whole amount once the bill comes in. The idea is to not add more debt payments after you have successfully paid off one account. You need to use that momentum to keep on paying off debt accounts that weigh you down. There are a number of smart money moves you can look into after paying off a debt account and the goal should always be how you can improve. After crossing out a financial obligation, you do not go out and add two more. It defeats the purpose and negates all the hard work you have put in.